Now every year his parents went to Jerusalem for the festival of the Passover. And when he was twelve years old, they went up as usual for the festival. When the festival was ended and they started to return, the boy Jesus stayed behind in Jerusalem, but his parents did not know it. Assuming that he was in the group of travelers, they went a day’s journey. Then they started to look for him among their relatives and friends. When they did not find him, they returned to Jerusalem to search for him. After three days they found him in the temple, sitting among the teachers, listening to them and asking them questions. And all who heard him were amazed at his understanding and his answers. When his parents saw him they were astonished; and his mother said to him, ‘Child, why have you treated us like this? Look, your father and I have been searching for you in great anxiety.’ He said to them, ‘Why were you searching for me? Did you not know that I must be in my Father’s house?’But they did not understand what he said to them. Then he went down with them and came to Nazareth, and was obedient to them. His mother treasured all these things in her heart. In college, I served as an intern for a High School youth group at Valley Community Presbyterian Church in Beaverton, just outside of Portland. I loved the young people I got to meet, and I appreciated the opportunity to be a safe adult they could be honest with as they faced a world that didn’t often make sense, that fell well short of their expectations and dreams. I was surprised though by how little time I had for that kind of work. You see, we had a mission trip to plan and prepare for. Each year we would go somewhere to “do mission.” My first year with them began in September of 2005, just as the floods caused by the failures of the levees after hurricane Katrina decimated New Orleans, and the storm surge and winds pounded the Mississippi coast line. Our youth watched along in horror as we saw the images from the city and the Superdome. Before we really had time to think about it, we were signed up to go as part of Presbyterian Disaster Assistance decade long response team. We would only be there a week, but the work we were going to do was part of a larger response. Based on the needs on the ground, we were assigned to work in Biloxi, Mississippi, and tour the devastation and recovery efforts of New Orleans. The trip was challenging for all the reasons you would imagine; traveling with all the drama of 15 high school students by plane, the intense emotional toll of being in a disaster zone surrounded by folks wracked by trauma, and creating space for young people to process their dawning realization that our government failed our neighbors so totally and heartlessly. But it was also a week heavy with transformative possibility. We saw what happened when local people worked together and community leaders organized residents to push for the common good. We heard stories of how people cared for each other during the disaster, and how they held their elected and community leaders accountable to their promises and progress. As we packed up after a week, having replaced a roof on a family’s garage, we were invited to be changed, to not forget this tragedy, or the week we had participated in the regions recovery. We headed to the airport, with a sense that we would take part of the experience with us, that we would be changed. That we could build the kind of resiliency and community that had been on display for us. It’s amazing to me how little of that experience made it back to Oregon. On the plane back, we were already thinking about what our mission trip would be next year. The relationships we had forged with survivors in the Gulf Coast, they were for a week, and then, gone. Done. Check that one off the list. We did our part. Back to life as usual. Before we left for the Gulf Coast, we spent months talking about systemic oppression and racism, the history of the levy’s, the failures of the Army Corps of Engineers, the slow response of FEMA, the brutality of the New Orleans police department and the indifference of the National Guard’s Leadership. we had taught our young people well, but soon enough, they were looking forward to where we would go next. And to be honest, I couldn’t even tell you where we went the next year. Maybe Mexico to build a house? It’s a little fuzzy in my mind. When I look back at our mission trips, it felt more like we went on a vacation to do something that felt good, and then left our relationships when we boarded the plane. 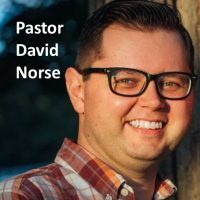 The experience didn’t connect to our day to day lives, and as a young minister, I was surprised. Is this what the Kingdom of God was supposed to be like? Was it it supposed be a place we did more than drop into for a week once a year? Can you imagine Jesus asking those questions? “Why do we eat bitter herbs dipped in salt?” What would it mean for Jesus, the Word of God made flesh, to hear of the tears of the people in Egypt, to taste that salt water, and the bitter herbs of the bitterness of the people’s oppression? What would it be for that child to taste the oppression that he would overcome and liberate us from through his life, death and resurrection? And so who can blame Jesus when he doesn’t want to leave the experience of that week to return to life as usual in Galilee? Of course he wants to stay and continue to ask questions, and to share what he knows of the Holy One. He’s not ready to leave the house of his Holy Parent. It’s no wonder that he wants to linger in a place that makes palpable the way the world should be, and live into that fully. I came back from that first year as a youth leader and realized that something needed to change. Were we having any real impact in the lives of these young people? Youth group mission trips felt like a vacation, a holiday. Wasn’t there more to God’s mission in the world? The mission of God, what we theologians refer to as the Missio Dei, is an important concept for any faith community to wrestle with. How we understand God’s mission in the world changes our understanding of what the mission of our congregations, our families, our lives are. It’s traditionally been a concept that comes towards the end of people’s and communities statements of faith, almost as an afterthought. We gather. Maybe we should do something? And yet I believe it is central to how we understand God, our neighbors, and what it means to be a disciple. Unfortunately, For many Christians in the United States, our understanding of God’s mission has been tied to a colonizing understanding of Christianity. Our John Wayne Jesus often has a mission for us to go and do in parts of the world that aren’t like our idyllic homes. Instead, we are sent to be brave and go to foreign countries, or the other side of town, across the tracks, to preach and convert, teach and form people to look like us. My Presbyterian Ancestors, their understanding was slightly more nuanced; they saw that not everyone would convert when they heard the Gospel, not everyone would completely assimilate to a white American lifestyle, so the best we could do was go and be charitable to people in parts of the world where disasters had happened, where there was famine or disease, or where poverty was taking root. We would build hospitals, teach folks how to farm, build schools, bring technology. And while that can be helpful sometimes, more often than not in past centuries, we brought in world views and societal expectations that ignored the wisdom and traditions of the communities we went to, the cultures that we were irrevocably changing. And the church back home, it wasn’t changed by these missions. Indeed its culture and beliefs were strengthened and shored up by this work. It was a one-way mission, that didn’t reflect the Relational nature of the Christ Child, who came and lived among us. Given our history, and the dawning of contextual theology, the work of the Liberationists of South and Central America, the voices of Black Queer Women and Latin-x leaders, congregations and the young people of the church have started to question what it means to participate in the Mission of God in the world. Is it to bring in something new, or is it to recognize what God is already doing in the world, and see how we are called to recognize the Holy that already exists, that bids us to not necessarily lead, but partner? What if we practiced that kind of incarnation Ministry, like Jesus did? The youth group at Valley Community Presbyterian Church was an incredible place. My bosses realized that the community that was being built, and the experiences that young people were struggling with in their daily lives, was where the Mission of God was bidding us to partner with. Our mission work a lot of times distracted from actually being able to be present with what God was up to in our day to day lives, and the lives of our kids. This was brought home with all the subtlety of a frying pan to the face when two youth in the local high school died by suicide in a two week period. I walked into youth group to find our children in full blown crisis, in tears. I was a responsible safe adult, but what was I supposed to do? To say? Before I could even begin to figure out what my role was to be, how I was going to help, the youth gathered together, and curled up on the floor. We sat on the ground outside of the circle, listening. Our youth were surrounded by pillows and blankets, and I heard The Beatles start to play. We lit some candles and before I really knew what was happening we were all crying. We were together in our grief. The youth said the things they needed to say, asked the questions about God they needed to ask, hugged one another, and turned to us adults. Would we be there for them? Would we hold this space for them as long as they needed? Would we hear their pain? Hold their sorrow? Answer the phone when they called and not try to explain this to them, but just be with them, no matter what? Beloved, Jesus freaks out his parents, and looks at them, puzzled, and asks, “Didn’t you think I’d be in my Father’s house?” They don’t understand, and I wonder if we always pick up on all the levels of his answer to where he has been. Jesus is always in his Holy Parents House. Where can he go to be away from God’s Spirit? Where can we go that we are bringing God to where God isn’t already? This is our Holy Parent’s World. And we can approach it with an attitude that we have something to give, something to bring, that we need to go on a mission to save the world. But what if we stop and realize, ask questions, and listen, to where God is already at work in people that dominant culture says have nothing to offer? What happens when we decolonize our understanding of Mission, and show up, looking to see the Liberation that God is brining from among the oppressed and the poor? What if we ask questions of those who know the salty tears of oppression, the bitter herbs of crushing poverty, the grinding pain of loss, and listen for the Wisdom of the Word of God incarnate in our midst? What if what we are called to bring to the Household of God isn’t our money or our labor, but our very selves to be in relationship, to be family to our Siblings in this our Holy Mother’s house? That’s the hope of the Beloved Community, the way the world can be that Rev. Dr. Martin Luther King Jr. Dreamed of. That’s what becomes possible when we engage in community organizing, and listen to our neighbors, and see where our dreams and the dreams of those in our community who don’t find a sense of community anywhere else overlap. Imagine what would happen if we engaged in a listening campaign to sit down and listen to one hundred people, parents, teenagers, teachers, community leaders, about the lives of children and young people, young families and college students, about what God is up to in their lives? The everyday challenges, the places of oppression, where a community of faith could meaningfully partner, where who we are is reflected back, and we are called to just be? Imagine if we asked about the stories and experiences that lit the cold fires that can lead to determined, persistent, focused energy to move our world from how it is, to how it should be, if we looked for leaders outside of this place to lead us to be united in solidarity with our neighbors. We could give voice to the questions that are relevant to the next generation of progressive families in our midst. Beloved, I hear these stories all the time, by going out and engaging in Holy Listening with those around us, and I dream about who we could be if we were a church that reflected the beautiful communities around us, clamoring to be listened to. I deeply believe that we will never know what God’s mission in the world is if we don’t ask questions and get curious, not to the demographics to those around us, not what nonprofit organizations in our midst are doing good work. No, what if we are curious to hear the stories and struggles of our neighbors, and form deep relationships so that when tragedy strikes, or the Powers that be threaten, when ICE shows up, or budgets are cut in ways that threaten our neighbors, we are invited to be in the room as we mourn and organize and act alongside folks very different from one another. We won’t have a voice unless folks know they can share the deepest longings of their souls, and be heard, and know that in our presence, they are home. But we are uniquely capable as a community to hold such holy Questions and stories. Beloved, we live in our Holy Parent’s World, and She is at work in our midst, making all things knew. May we listen to her children, who invite us to join in what God is already up to in our midst. Then everything we do, from worship to our programming can be partnered with the Missio Dei, God’s Mission in the world. It’s not that Jesus gives his Church a mission. Instead, Jesus’ mission has a Church that is called to be a part of the Beloved Community in our midst. Let us be that community, that family of faith. Let it be so, Amen.